When it comes to essential oils, your nose knows. Your nose knows if the smell is fake. It knows if something has been adulterated. It knows if something has gone off or just isn’t right. And in a world where more and more things are being cut and substituted and faked, it’s a good thing your nose has got your back! But what about if you just don’t know what to look for when you smell an essential oil? Perhaps you’re new to all this, or perhaps there are just so many different brands and companies to choose from that you feel a little overwhelmed. Whatever the case for you, here are a few other pointers to help you determine the quality of an essential oil when you’re not quite sure what your nose is trying to tell you. First, is it organic? 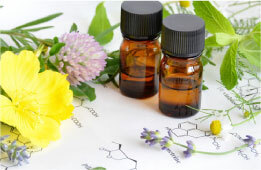 Essential oils are very concentrated, which means that any harsh pesticides or other chemicals that the plants were exposed to can also be concentrated in the plant’s oil. And that is not the kind of thing you want to be using for your private label skincare or aromatherapy! So, check to make sure that the oil you’re using is organic, or even from wild crafted plant material. These will yield a better quality, more pure essential oil for your use and enjoyment. Second, look into the company or brand’s quality standards. They should have information on their website or even product labels regarding what they look for and require in their products. If you have a hard time finding any, or enough, information about this, then there’s a good chance you may want to go with a different brand. While they don’t need to show the exact plot of land the plants grew on, the company should feel perfectly comfortable disclosing where and how their materials come to them. Thirdly, how is the oil packaged? Ideally, you want your essential oils to be packaged in darkly colored glass to keep the light out. This protects the delicate essential oils inside the glass from the damaging light rays that are responsible for degrading the quality of oils in all kinds of products, from food to skincare. While you won’t be able to see the color of the oils you’re buying, they will be better protected, will last longer and impart a higher overall quality to your own private label and personal uses for them.